Lots of new purses with handmade bird appliques have arrived at the Pesky Cat Designs shop. 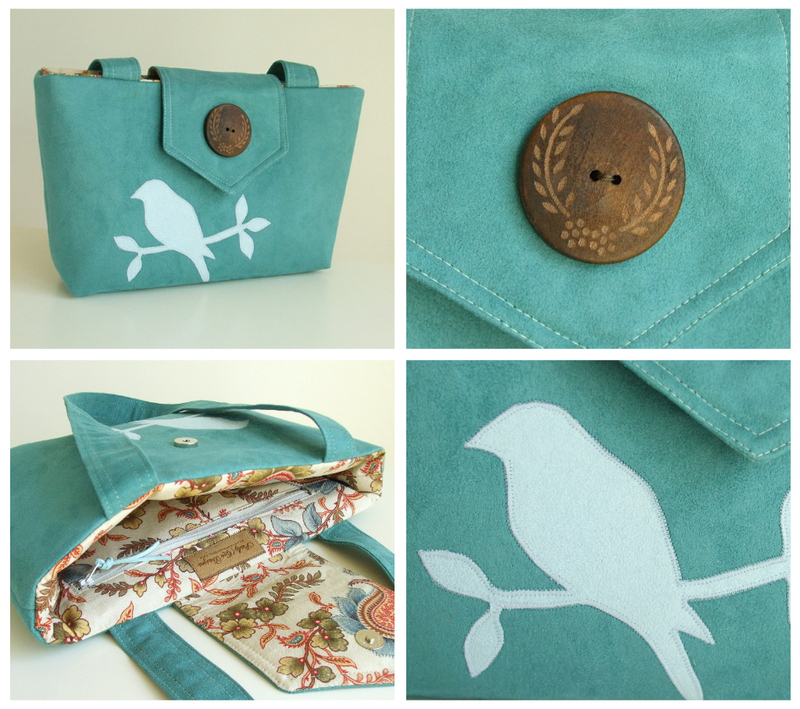 The most requested bag in my shop is the Wayfarer Purse with a bird applique. Upon perusing my inventory last week I realized I did not stock enough of this style considering it was my most popular item. From here on I plan to have a nice selection available in many colors. Right now I am loving the faux suede. It's a textile for all seasons and sews up beautifully. The new batch of bags that were added to the shop today are made from faux suede with contrast stitching and are adorned with pretty wood buttons. I also added a handy faux suede zipper pull to the interior zippered pocket. There's one zippered pocket and one slip pocket to keep your things organized and a magnetic closure on the flap. 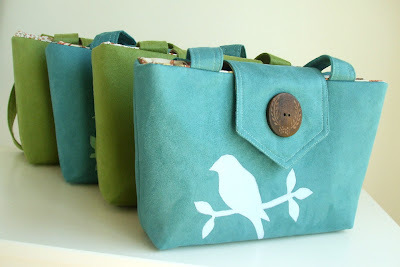 In the upcoming weeks I'll be adding more bird purses to the shop in a variety of colors. I hope everyone is having a good weekend so far. Enjoy! 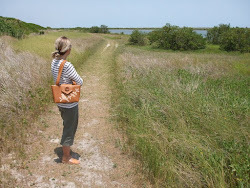 These bags are wonderful, Elisa!!!! 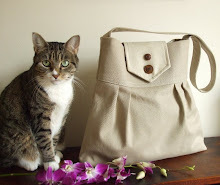 I think it would be a great pleasure every time one opens this super-elegant bag and sees the gorgeous lining! Yes, more birds, please, these are simply gorgeous! Thanks for all your nice comments!